1511 Somerset Dr, Homewood, AL.| MLS# 846529 | Richard Jacks UABLIVING.com 205-910-2297 | Birmingham AL Real Estate | Contact us to request more information about our Homes for Sale in the Birmingham AL area. 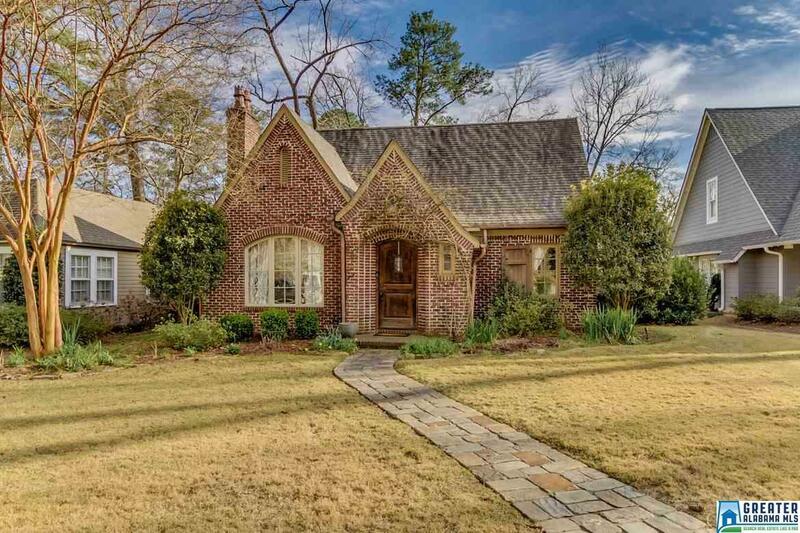 This charming, 1920s, bricked English cottage is beaming with curb appeal, from the flagstone walkway to the stunning arched front door. Living room boasts fireplace that can burn natural wood or gas logs. Gorgeous front window provides abundant natural light. Kitchen features stainless appliances, including a 36â BlueStar range, custom cabinetry by a local Alabama carpenter, & built-in wine rack. Two bedrooms & a bathroom round out the first floor. Retreat upstairs to the master suite oasis, complete with sitting area & custom master bath which boasts double sinks, ample storage, separate tub, & two closets. Off the master suite you will find a bonus room, perfect for use as an office or nursery. Hardwoods, crown molding & beautiful arches throughout make this home so special. Covered patio, fenced backyard, storage building & alley access to 2 car parking pad. HVAC new in 2018. Walk to Homewood Central Park, Nabeel&apos;s, Hero Doughnuts, Steel City Pops, Revelator, Taco Mama & Saw&apos;s! Driving Directions: Oxmoor Road To Parkridge Drive. Right On Bellview Circle. Right On Somerset Drive.